Since their origin in panels and meets at science fiction conventions of the 1980s, furry cons have grown in membership and popularity. Today, they are found on every continent except Antarctica (now there's a challenge). Anthrocon, the world's largest furry convention, welcomed 6,389 attendees in 2015. 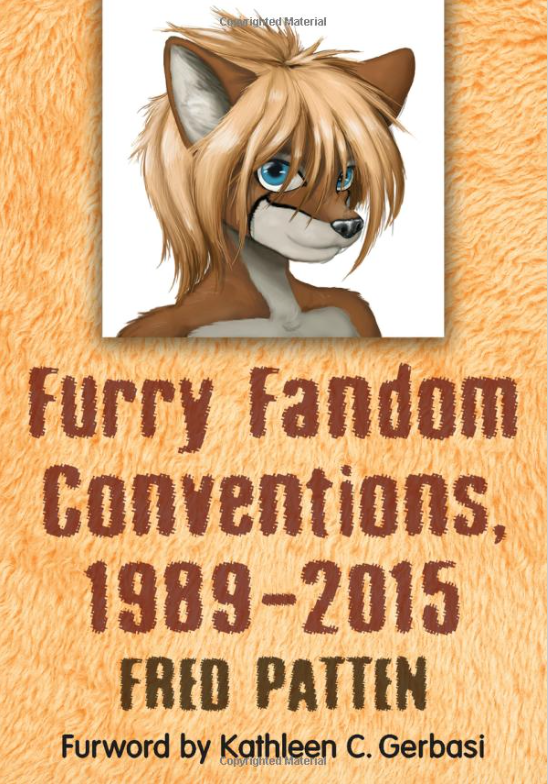 Fred Patten's book is the most complete published work (OK, OK: it's the only published work) to cover the history and status of furry fandom get-togethers across the world. McFarland, January 2017, 260 pages. Available on Amazon and Google Play. A convention is differentiated from a more casual furmeet by elements including a committee, paid memberships, and a structured event schedule. Most cons last more than one day and take place in a hotel, convention centre, or sometimes camp site or youth hostel. Those attending Anthrocon this year that have an interest in non-fiction works about our little fandom will not want to miss the session I am hosting on Sunday, July 2nd to preview my book looking at the history of furries, Furry Nation. The book gives this "greymuzzle" freelance writer's perspective, having been in the fandom since 1988; a journey which all began with a surprise invitation in the mail to something called a 'furry party' being held at a Philadelphia Sci-Fi convention. Furry Nation tells the story of the fandom’s birth and growth, from the earliest “funny animal” comic book fans and convention organizers to the worldwide fandom it is today. Artists, fursuit builders, and fans of all stripes are profiled, and of course our rocky relationship with the Hollywood animation community is also examined. In the book’s final chapter a genetic scientist discusses the possibility that genetic therapy will someday transform humans into actual anthropomorphic animals. Furry has indeed transformed many lives, including my own in ways I never expected— personal experiences that became a part of Furry Nation. Today there are many academic studies of talking animals in children’s literature. 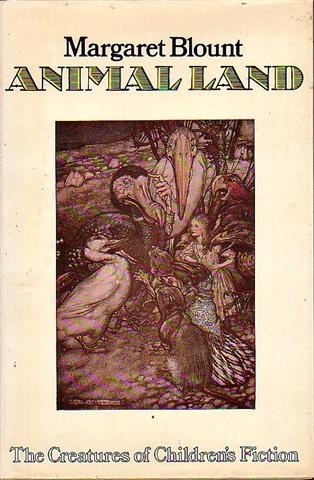 Animal Land was one of the first, and still is one of the best. Whether you look for the original British edition, its American edition (NYC, William Morrow & Co., March 1975, hardcover 0-688-00272-2 $8.95, 336 pages), or a reprint (Avon Books, March 1977, paperback 0-380-00742-8 $3.95, 336 pages), Animal Land is worth reading. You may think that you are already familiar with all the stories covered in it, but Margaret Blount has profiles of dozens that will be new to even talking-animal connoisseurs. This year Dreamworks is celebrating 20 years of animation on TV and the big screen. 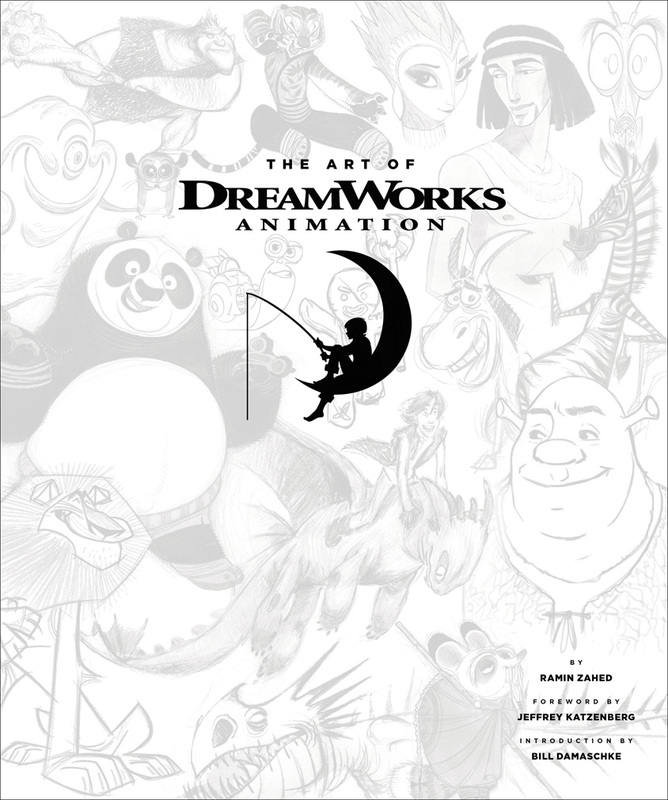 Among the signs of the celebration is The Art of Dreamworks Animation, a new hardcover book edited by Ramin Zahed. It’s available later this month from Abrams Publishing. “Brimming with concept art, preproduction designs, and character sketches, DreamWorks Animation marks the studio’s 20th anniversary and offers unprecedented behind-the-scenes access into its archives. 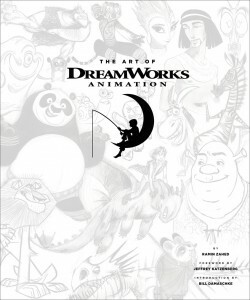 An introduction by DreamWorks cofounder Jeffrey Katzenberg provides insider perspective on the studio’s most popular films, as does running commentary from artists and directors on all of DreamWorks’ 30 films to date.” By which they mean films like Kung Fu Panda, Madagascar, and How to Train Your Dragon. Order it now at Amazon. Just in time for the new Disney Muppets film Muppets Most Wanted (hitting theaters this March) comes a new tie-in book, The Muppets Character Encyclopedia. According to the Muppet Wiki, this 200-page hardcover book features entries on more than 150 Muppet characters and more than 600 full-color photographs. “The most sensational, inspirational, muppetational character encyclopedia ever! You can play the music, light the lights, and meet all your favourite characters from the Muppets in The Muppets Character Encyclopedia. From Animal to Zoot, meet over 150 of the most memorable and best-loved Muppet characters from the 1970s to the present day. It is packed with facts about Kermit, Miss Piggy, Fozzie Bear, Gonzo, The Swedish Chef, and all their wild and wacky buddies. Featuring full-colour images of each Muppets character with annotations. Fact files provide info on each character (and some little known facts), including their role in the Muppets pantheon and details of their first appearance.” It’s available now on Amazon from Dorling Kindersley Publishers Ltd. Believe it or not, since its inception in the early 1980′s, the My Little Pony line of toys has had an active (even rabid!) fandom of collectors following it — long before the current Twilight Sparkle and her cohorts took over the world from their base on The Hub. Now available in print again in paperback is The World of My Little Pony: An Unauthorized Guide for Collectors (whew!) by Debra L. Birge and Ann Stroth. From Amazon, here’s the publisher’s plug: “This is the first comprehensive collector’s identification and value guide to My Little Pony. These popular toys were made from 1981 to 1991 and are attracting the interest of collectors around the world. Over 300 color photographs clearly identify over 600 My Little Ponies, some of which are extremely rare. In addition to the ponies, hundreds of related items sold under the MLP logo are shown. A very helpful index of all the ponies featured in the book and a handy price guide with beautifully detailed photography makes this book a must for every My Little Pony lover.” Interestingly, this book was first published by Schiffer Books For Collectors back in 2007 — well before the current My Little Pony: Friendship is Magic craze hit. Isn’t it time for an update? One of those “not exactly furry, but boy does it have a lotta furries in it” kind of things: Bill Willingham’s award-winning comic book series Fables. Now publisher Vertigo have announced the Fables Encyclopedia: Deluxe Edition, coming in hardcover this October. Here’s their press release: “From Aladdin to Zephyr, The Fables Encyclopedia is a must-have reference guide to the hidden history of every Fables character from Bill Willingham’s multiple award-winning series. Written by noted academic scholar Jess Nevins (The League of Extraordinary Gentlemen Companion) with artwork by Fables luminaries including cover artists James Jean, Joao Ruas and series regulars Mark Buckingham and Steve Leialoha, the Fables Encyclopedia provides rich historical information about each character as well as his/her first appearances and respective role within creator/writer Bill Willingham’s imaginative Fables mythos. Willingham and series artist Mark Buckingham provide fun facts and anecdotes along the way. Featuring an exquisite wraparound cover by noted Fairest cover artist Adam Hughes, the Fables Encyclopedia is a deluxe hardcover that’s essential for every Fables reader, old and new.” Vertigo has more are their web site. 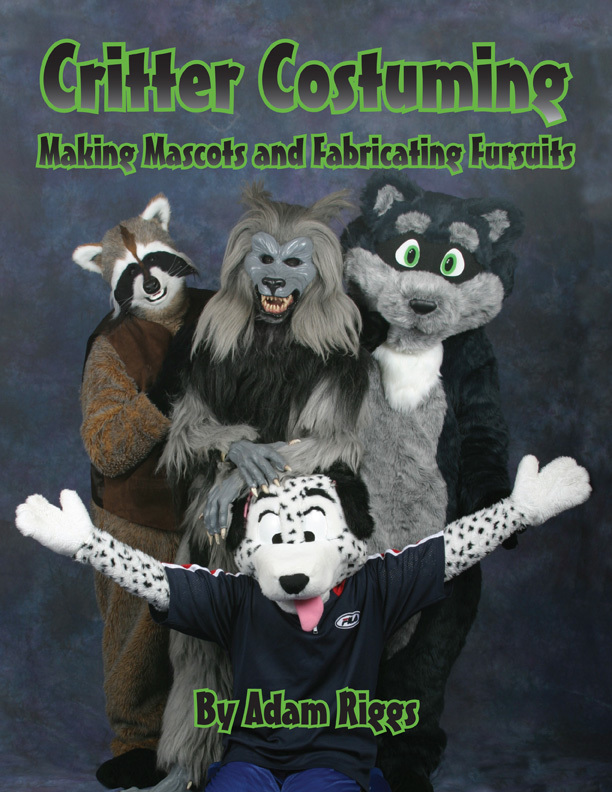 Virtual Costumer magazine, published for members of The Silicon Web Costumers' Guild (SiW), has reviews of the fursuit-making manual Critter Costuming in its latest issue. Phil asked me to review it. I don't make costumes, just wear them, so I put out a request to the Furry community for their reviews. I selected two to share, by Schrix and Kellan Meig’h. Critter Costuming: Making Mascots and Fabricating Fursuits, by Adam Riggs (Nicodemus), is the first published book about fursuit making. You can buy it on Amazon. Furry author/editor Watts Martin has announced a new online magazine about furry fandom, Claw & Quill. The magazine's submission guidelines call for unpaid reviews, interviews, profiles and nonfiction narratives in the 1000–2000 word range. While acknowledging a "definite overlap" with Flayrah, Watts expressed a wish for C&Q to be "less “newsy” and more curated." Many know Watts as a story writer, but he has a long history of publishing and contributing non-fiction to furry 'zines. He previously launched a fiction webzine under the same name Claw & Quill in October 2004, although it proved short-lived. Watts planned to reuse the name for a curated, social story archive similar in concept to Yerf, but the project stalled. Top o’ the mornin’ to ya, everyone! A belated Happy St. Patrick’s Day. First off, a quick note: Voting for the 2013 Ursa Major Awards — celebrating the best in Anthropomorphic Everything from 2012 — has just opened, and will remain open until May 15th. Visit the Ursa Major web site to see the nominees and sign up to vote. Then come check out the winners at a special ceremony at this year’s Anthrocon! 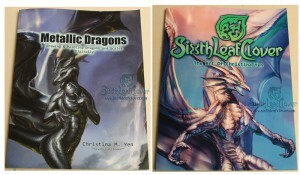 Christina Yen is an anthropomorphic and fantasy artist who creates works under the name Sixth Leaf Clover. One of her specialties is dragons, variously anthro and not, and especially those of a “metallic” variety. Therefore it’s especially apt that she has released an art tutorial book called Metallic Dragons. In it you will find not only instructions for drawing dragons in various forms, but also coloring instructions (in both digital and traditional forms) for making your dragons look like silver, or gold, or steel, or what have you. She has also released a portfolio book of her artwork entitled Sixth Leaf Clover — The Art of Christina Yen. Both of her books are available in trade paperback on her art web site — and of course, so are a collection of prints, 3D works, and other fancies, including a 2013 calendar. Hey, weren’t we just here? Well, yes, but that was mostly about Sonic the Hedgehog in comic book form. Now Udon Entertainment brings us The History of Sonic the Hedgehog, which is more about Sonic in the original games. Got it? 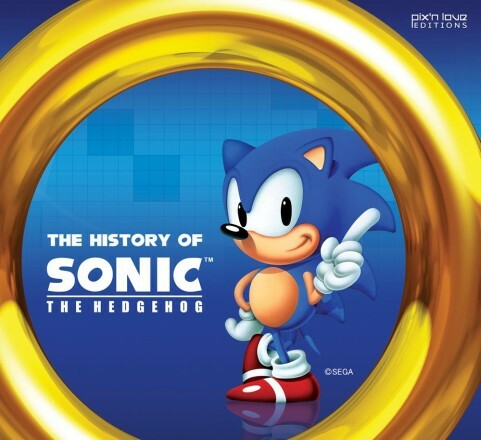 Here, let Amazon tell you: “Celebrating over 20 years as SEGA’s official mascot, The History of Sonic the Hedgehog is the ultimate guide to SEGA’s spiky blue speedster! This hefty 300-page hardcover volume covers in detail every 2D and 3D Sonic game, plus spinoffs and crossovers. You’ll also find character profiles, promotional artwork, rare concept art, and a detailed look at the origins of the ‘Blue Blur’.” Edited by Marc Petronille and William Audureau, this large volume comes our way in early October.